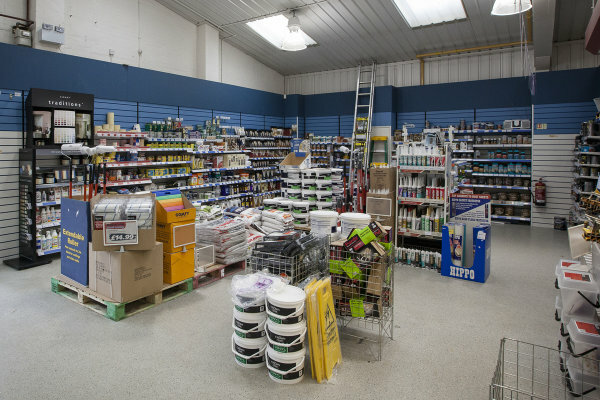 You’ll find Brewers Decorator Centre on the north side of Banbury, about 1/4 mile off the Southam Road (A429), just two minutes from the M40 motorway. We’re in between Jewson and Mega Tyre Store on the Beaumont Road Industrial Estate. There’s lots of parking outside and the store is wheelchair-accessible. 24 hour pick up at your local Brewers! Inside, our team guarantees a friendly welcome and lots of experience to draw on – between the four of us we have more than 70 years in the industry. We’ve been supplying tradespeople and private customers with a wide range of paint brands and paint mixing, wallpapers and decorating equipment for decades. Despite being part of Brewers for well over a decade, you may still hear well established Banbury tradespeople refer to us by our old name: Milners. If you need products delivered to your decorating site, please do ask us about local delivery options.